Setting up the Sony RX100 IV to shoot great looking video is not easy. Sony has introduced so many new features and codecs, it can be complicated for even someone with all the skills and knowlege. In this guide, I’ll go over some of the best techniques for shooting great video on the Sony RX100 IV. See the Sony RX100 IV memory card guide to determine which card is best for you, but you really should get an SDXC U3 memory card. The best setup for the average Joe who just want to shoot for web or make a short film is 24p and 4k 100M. For example, when my child was born, I shot her at 4k, 24p 100M and the video looks amazing. Have some caution when choosing to shoot 4k. Make sure you have a post production computer and harddrive setup that is fast enough to handle these massive video files. One advantage we have to shooting 4k is the 100M data rate which gives you twice as much information as the 1080p 50M alternative. So you’re better off shooting 4k 100M and scaling down to 1080p if 1080p is what you need. To get the film look you’ll want to shoot at 24p, and you’ll want to shoot at a shutter at 1/50. If you can’t get 1/50 as a shutter, make sure you set the Exposure step to 0.3EV instead of 0.5EV. It’s found under the menu options, under the camera icon. Why Not Shoot 30p (25p) Instead of 24P? Unless you’re shooting for broadcast, the main two reasons to shoot 24p is for the cinematic look and data rate. With 100mb/s going into your data stream, at 30p each individual frame will have less data than a 24p data stream. So each frame will look nicer and your video at 24p should ultimately look nicer. This is also nice for uploading to web, where data rates are limited. You have four recording modes each with several options. AVCHD – 1080p An older Sony codec. Sony made this back when they still hated the consumer. Now they like us, so avoid this unless you need to shoot interlaced for some strange reason. – 60p 28M(PS) <- A Broadcast standard for 720p. So you would have to scale down to 720p. – 24p 24M(FX) – < – My favorite option for the web, or general usage. Use MP4 only when quality isn’t really something you need and you’d rather take up less space. For example, I would use something like this for shooting my SD memory card speed tests, where I just need to capture how long it takes for a camera to write to a card in 60fps. Quality is still good, just not as good as XAVC S.
The Sony RX100 IV does something amazing. It allows us to shoot at extremely high frame rates. I’ve seen other bloggers complain about how hard it is to record slow motion, but seriously, it takes two minutes to figure out, then once you do, it’s totally fine. You just have to put the camera in the standby mode and once you’re there, you either start the recording or end the recording, since that point the camera is always buffering. Be sure you still pick what base frame rate you need. If you’re producing something in 24p then select your base rate as 24 and your 960fps slow motion will play back at that frame rate. You have two options for the quality of your slow motion on the RX100 IV. Both shoot at a lower resolution then scale up to 1440 x 810. Shoots at 800 x 270 but gives you longer recordings. You have a few options on how to shoot slow motion. You can set the start button to trigger the recording (Start Trigger), or the camera can buffer a slow motion recording to you and the End Trigger will trigger the tail end of the slow motion. End Trigger is nice for shooting something like a water balloon exploding and you want to make sure you get the entire action, so you end the recording when the action is finished. Start Trigger – Starts the recording like normal. End Trigger (I prefer this) – The camera will constantly stream a recording, and End Triggers tells the recording were to stop. I’ll go over a little on how you can maximize your cameras performance to give you the best results. This works with Video as well as JPEG stills. It works by throttling the cameras ISO to maximize your dynamic range. I typically shoot video with this set to Lv5 to ensure I’m capturing as much of my highlights and shadows as possible. You now have the option to customize picture profiles for recording video. This is sort of for experts only and is a very deep and complicated topic that I will have to go into a completely different post. I’m still learning this, but it allows you to shoot a very flat image to capture as much information as possible. For a film I care about, I would probably shoot some sort of S-Log. Otherwise I just use the standard Sony picture profiles. Either Standard or Neutral. Although the camera is by no means perfect, it’s an absolutely amazing tool for video. It shoots an amazing 960 frames per second and great looking 4k video. It just takes a little bit of getting use to. Sony really needs to stream line all the options and start dumping features nobody uses. It seems with every camera they introduce they add new features and codecs but never dump the old which only clutters the menus and confuses the users. Thanks so much for this information. 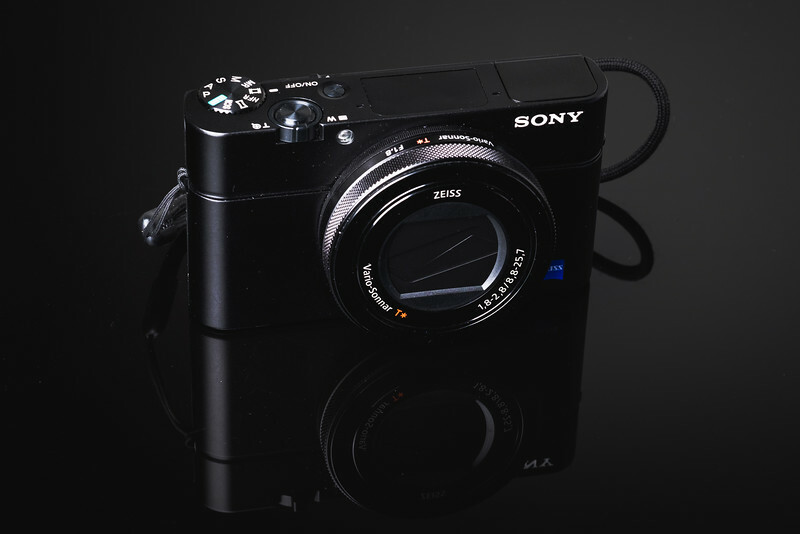 I just bought the Sony RX100 IV and am working hard to figure out the difference in file size. I bought a SanDisk Extreme 60MB/s SDXC I U3 Class 10 card, and the camera never tells me it can’t shoot in 4K mode. All the modes seem to work. However, I only ever have .MP4 files on my card. Nothing is ever saved at “MP_ROOT100ANV01” or in another format. Is the camera just doing what it wants to do based on my card performance, or am I missing something? MP4 is right. That’s always what I get when shooting 4k or the MP4 setting. If you shoot AVCHD it will be nested in another file, I think those are MP4s also but I can’t remember for sure. This records high-definition movies by converting them to MP4 file format using the MPEG-4 AVC/H.264 codec. Beautiful video, thanks for sharing! Hi all, I was just wondering in what situation you would choose 60p 50M in as the base rate when shooting High Frame Rate video. Nice guide by the way! Thanks!